The Cedar Rapids Titans will live to play another day. After months of speculation, the Indoor Football League and the current ownership group, led by Chris Kokalis, announced today that the team will be purchased by California businessman Roy Choi and have signed an agreement to play in the 2019 IFL season. The team revealed in February that the team had been put up for sale. 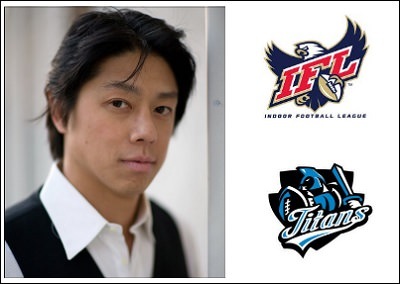 Following that announcement, the Titans embarked on their seventh season in the IFL. That meant playing their 14-game schedule under a cloud of uncertainty. Cedar Rapids went 3-11 on the season, playing just six games over largely sparse crowds. The won two of those home games, over the Green Bay Blizzard and the Nebraska Danger. They also posted their first multi-game win streak since the 2016 season. "The league is pleased to welcome Roy and his ownership group to the IFL family. We are excited to open the book to a new chapter in the great history of the Titans franchise," commissioner Mike Allshouse stated on the league's website. Choi holds the position of managing partner for Knighted Ventures, which invests and managed projects in entertainment and gaming (per the IFL's press release). He also is executive producer for a national non-profit which empowers Asian-American leaders and artists a way to discover, empower and connect. According to the IFL, when the February sale announcement was made, the "number one priority was to secure a new ownership group that would keep the team in the Cedar Rapids community." No announcement has been made on whether the desire to keep the team in Cedar Rapids will come to fruition. The possibility may exist that a relocation could be in the future. Titans head coach Marvin Jones, a former NFL veteran linebacker, told SCtoC exclusively that he is proud of how the team responded to the uncertainty of the 2018 season. "First I'd like to thank Chris Kokalis for the opportunity to become the Cedar Rapids Titans Head Coach, and second I'd like to thank the Cedar Rapids Community for accepting and welcoming me," Jones told this site this morning. "When I took the job and knowing the team was up for sale, I knew it would be a tall task as in many folks eyes its a sign of instability and in many cases players shy away from those situations. I took on a job as they say nobody wanted and built a team that played hard and was competitive and no one can deny that. If we go 2-1 vs Nebraska instead of 1-2 were a playoff team instead of them; it was that close. "The Cedar Rapids Titans job just became a job that everyone will want now simply because new ownership say’s new direction and stability for the future. I'm confident in my abilities whether it be coaching, recruiting or simply getting players to play beyond there abilities. Again, I am thankful to Mr. Kokalis, the folks of Cedar Rapids, my coaches and players for the opportunity to coach them and be apart of this family. I am definitely open to returning as Titans Head Coach with a few changes to finish what I started here." Per the IFL, choi and the ownership group will compile a a staff and, in the weeks ahead, will announce plans for the organization. That would include ticket information for next season. The latter will confirm the home of the Titans in 2019. The Titans have played seven IFL seasons, accumulating a 50-52 record over that span. Cedar Rapids reached the United Conference Championship game four straight seasons from 2013 to 2016, losing to the Sioux Falls Storm each time. The Storm went on to win the United Bowl in each of those seasons. SCtoC will update this story as more information becomes available. Great news for the IFL. With Bloomington coming in next year, the announcement of this purchase can serve as a selling point for the commissioner in terms of bringing in expansion teams into the league. I would hope that the new owner retains Marvin Jones as head coach. He seems to bring a lot of positive energy. Hiring a couple assistant coaches wouldn't be a bad idea either. 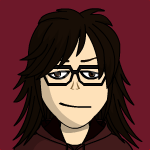 And, keep Medlock obviously. I read somewhere that the Titans signed some sort of LAA for the 2019 season. So for at least the near future they are staying in Cedar Rapids.